If you love to sing and travel to exotic locations, this is the trip for you! Santiago de Cuba, the second city of Cuba nestled in the foothills of the Sierra Maestra mountain range, is the undisputed home of choral music in Cuba and hosts this well respected choir festival every two years. Santiago is already a city brimming with music and dance, offering a range of cultural festivals all year round, and is also widely recognised as the home of Cuban Son, the grand-daddy of what we now know as Salsa. 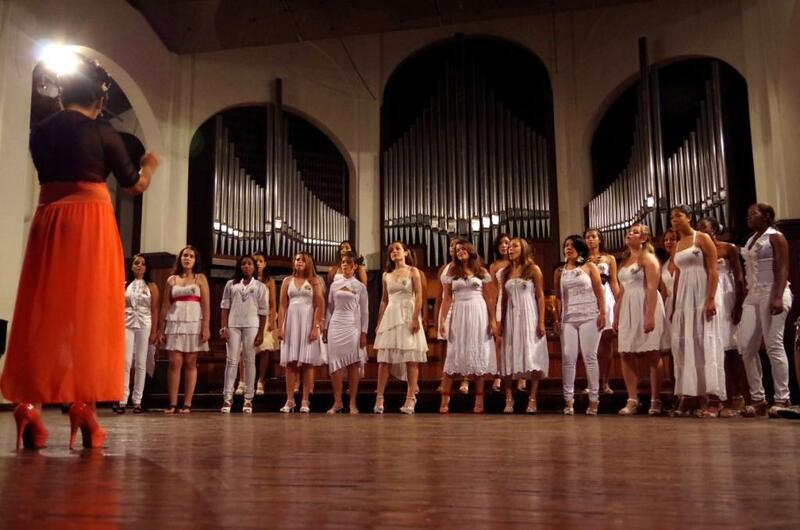 The choir festival, however, has a special place in everyone’s hearts due to its long standing history in the city. 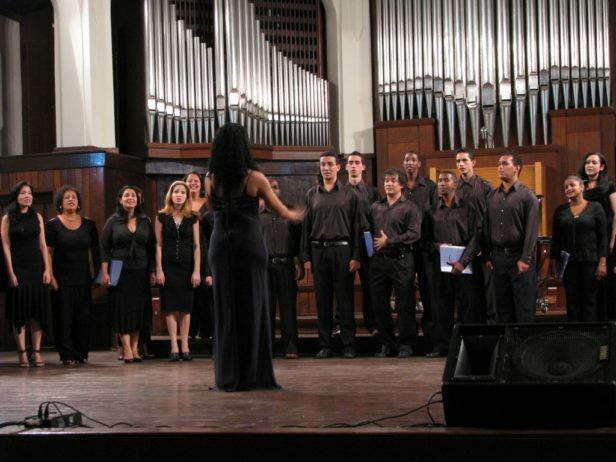 The first choir festival took place here in 1961 and was launched by Maestro Electo Silva, the top choral director in Cuba at the time. Since then the festival has continued to attract choirs from all over Cuba as well as other countries around the world and the forthcoming festival, 28 Oct – 3 Nov 2019, will be a tribute to two exceptional and much loved musical legends in Cuban music, Leo Brouwer and Roberto Valera, both of whom are soon to be celebrating their 80th birthdays. So what can you expect? Well, lots of singing of course, not just in concert halls and music venues but also in the street, with impromptu a capella bursts of song in the main squares, in taxis, outside bars and restaurants – in most parts of the city, in fact. People in Santiago love music, love to share music and love to see others enjoying music as much as they do themselves. Choirs from all over the world will be present, as well as visitors who enjoy the festival atmosphere and performances but are not actually performing. Throughout the festival, the sharing of song and voices and the sheer joy of singing is evident. When Caledonia was last involved in the choir festival back in 2013, there were choirs from Scotland, Australia, the US and Canada as well as Cuba, and the intercultural exchanges that took place were exceptional opportunities for each choir to share and learn as well as to perform in top local venues. Concerts took place each day and evening in Sala Dolores, a former church and now the main concert hall in the city centre with excellent acoustics. Masterclasses in harmony and rhythm added to the musical experience, and group cultural tours let everyone explore the history of the Cuban Revolution, the cultural background of Santiago as a unique hub of Afro-Haitian-Cuban heritage and also the lush, tropical countryside close to the city.